During the weekend, ALL ARE INVITED TO PARTICIPATE! Age group Olympic and Sprint distance races are starting off both Saturday and Sunday. Following are the Elite races for the USA Triathlon Elite Race Series. Come out and race on the same course that the past and future Olympians will be racing on. Age group races are special qualifiers for the USAT National Championships in 2012. The top 33% of each age group finishers will qualify for Nationals. The Age Group race consists of a traditional non-drafting style triathlon sanctioned by USAT. This is the culmination of the Triathlon season in Western New York! 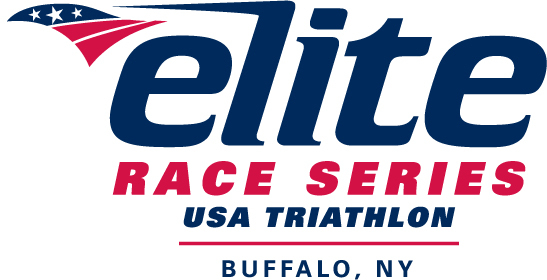 Buffalo is the host of the USAT Elite National Championships where the prize purse is the richest in the series at $100,000, making the Nickel City Triathlon a must do! EVERYONE can come and race on the same course as some of the top North American and European Professional multi-sport athletes. Both Olympic & Sprint distances will be competed on a completely closed course. **The age group olympic and sprint race is open to anyone wanting to participate. Whether you are a first time triathlete or a veteran to the sport! There is no qualification process to race in this event. ECLIPSE MULTI-SPORT AND BERTS BIKES. With confirmed registration of an ECLIPSE MULTI-SPORT race (QuakerMan, Wilson, Nickel City, or Shore to Shore) you will receive 5% off on purchase of bikes and 10% off on clothing and accessories! Visit your local Bert's Bikes today.